Snowdon Rocks! Go Green! Blue Skies! Awyr Glas! A perfect day with special people! 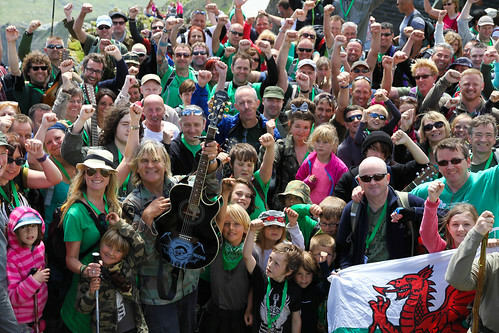 Thanks to the 200 trekkers who joined Mike Peters & the Love Hope Strength Foundation on Saturday, June 21st, climbing Snowdon, the highest peak in England & Wales. The day was a wonderful mix of good friends, chat, songs, making new friends, remembering those we’ve lost, celebrating life and looking ahead to new horizons. Let’s do it again, next Midsummer 2015! Registration will open in a few days. We have a new facebook group dedicated to trekkers own photos, feel free to post your trek and fundraising photos.